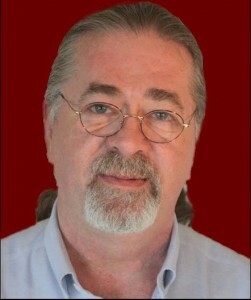 Social Technology in HR and Recruiting by John Sumser: Get a Move On! 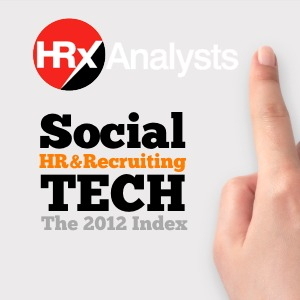 I just finished reading The 2012 Index of Social Technology in HR and Recruiting, put together by John Sumser and the HR Examiner team. The report covers initial attempts in leveraging social media in the sourcing and recruiting industry. Although quite a large variety of products are surveyed, the report primarily focuses on the multiple angles through which vendors try to incorporate some form of social element within the HR field. It’s only the beginning, and as the report indicates from the start, we “are entering an era of flux.” The word “flux” is especially interesting here: it refers to the rate of transfer of the social media wave across the various branches of HR as well as the inconstancies, fluctuations and wavering that it generates — thus revealing interesting paradoxes. Isn’t it odd that the very same people whose role is to help corporations move forward can’t be in a position to do so simply because of technology constraints? Isn’t it strange that while it is part of their DNA to create relationships, recruiters would shy away from tools and platforms that facilitate and encourage connections with and between people? How is it that with social media being first and foremost about relationships, early social technology in HR “is focused on the collection of the data, not relationships?” In a logical world, HR — human resources — should have been the very first organizational function to embrace social media and put an end to a “process that treats potential candidates as objects.” But it’s not. Time to steal the Seven-league boots! Lots of recruiters would love to move quickly! But they are often stuck with antiquated practices and systems and are not adequately assisted by the other departments as they do their jobs. Why should HR be a “competitive weapon” only for younger corporations? Why should recruiters indefinitely bear with incumbents that do not even provide free open APIs to enable transparent communication across platforms when engineers and marketers can connect everything with anything with a snap of the finger? “Engage or Die” (to use the title of a great book by Brian Solis last March) is what you can read between the lines of this very informative and well written report – that gives HR teams excellent reasons to demand more freedom and better systems. Better understand why it takes so much time and money to find, select and hire new employees today! Realize that change is never hard to effect when there is will to evolve… And there are lots of forward-thinking digital leaders in this industry that can help out, as I could see for myself as the CEO of a new company, TalentCircles.